WALS™ wins prestigious design award! 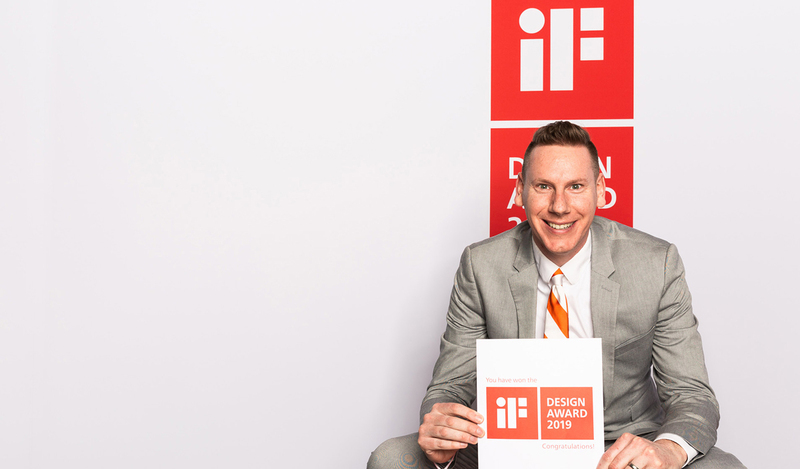 The designer of our WALS portable acoustic wall product, Jeff Theesfeld, traveled all the way to the beautiful city of Munich to accept the iF DESIGN AWARD that WALS™ won in the office category. iF DESIGN AWARDS are a world-renowned design prize described as one of the most important design prizes in the WORLD! Each year the world’s oldest independent design organization, Hannover-based iF International Forum Design GmbH, organizes the iF DESIGN AWARD night. Jeff had the pleasure of attending this ceremony, accepting the award, and rubbing shoulders with designers from all around the world. He described this experience as a once in a lifetime trip and the smile on his face says it all! He’s also featured in the official award night video below. WALS™ won over the 67-member jury, made up of independent design experts from all over the world, with its function first design approach where every detail of the design serves an important function to the user. WALS™ is a perfect blend of PS Furniture’s lightweight panel technology, UNION’s innovative design approach and Shea+Latone’s practical development expertise. We are so proud of Jeff representing Shea & Latone/Union Design and PS Furniture to accept this award!